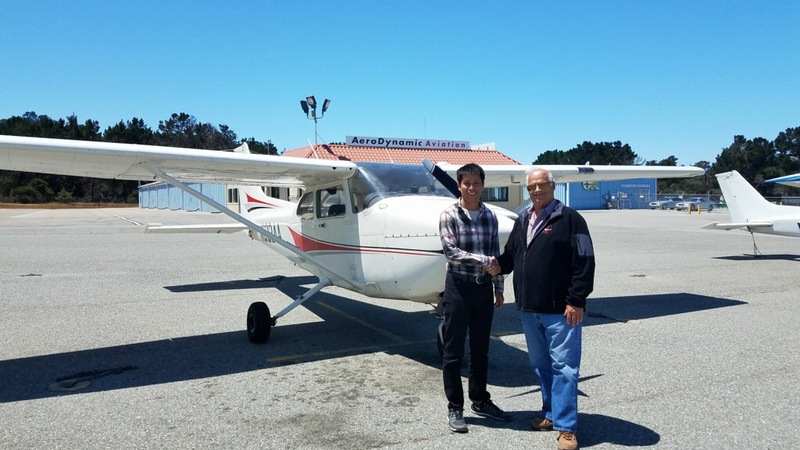 Another Monterey pilot earns their wings with DPE Eric Cook! 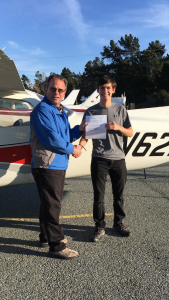 Congrats to Bentley and his instructors on a job well done. 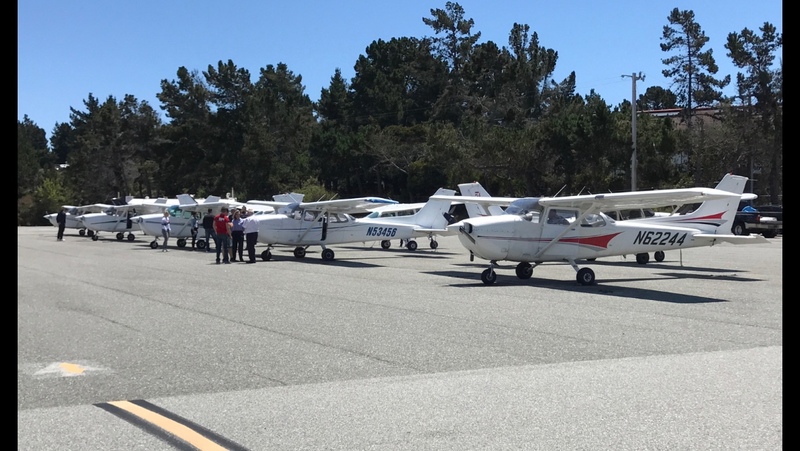 One of our recent graduate’s mom snapped this photo of three 17-year-old Aerodynamic students (2 newly licensed private pilots and 1 student pilot) departing out of Monterey airport. 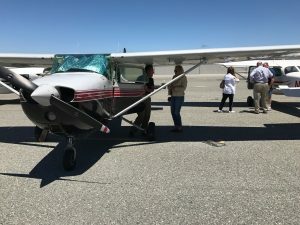 Adam Shapiro is in the left seat, Katrina Espinoza is in the right (his safety pilot) and Sophia Taylor-Home is in the back seat. 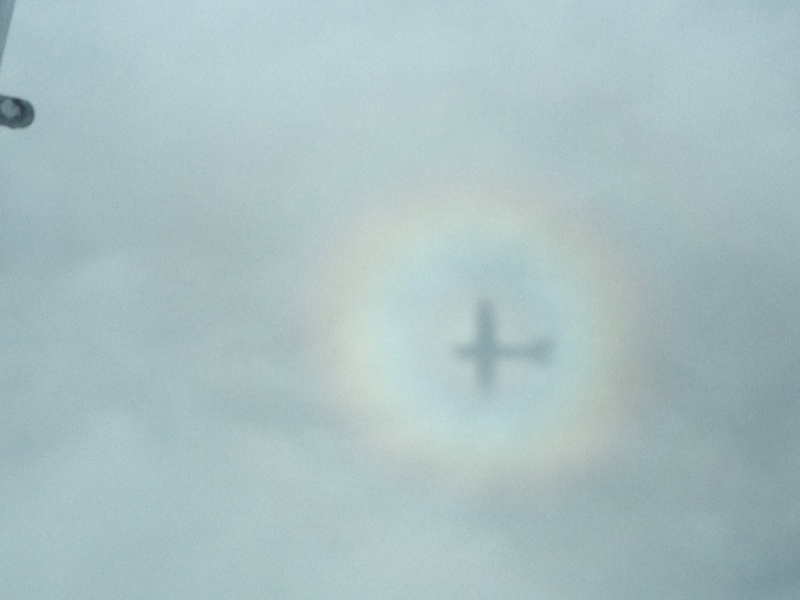 If you look closely, you can actually see clear silhouettes of 3 people inside the plane. 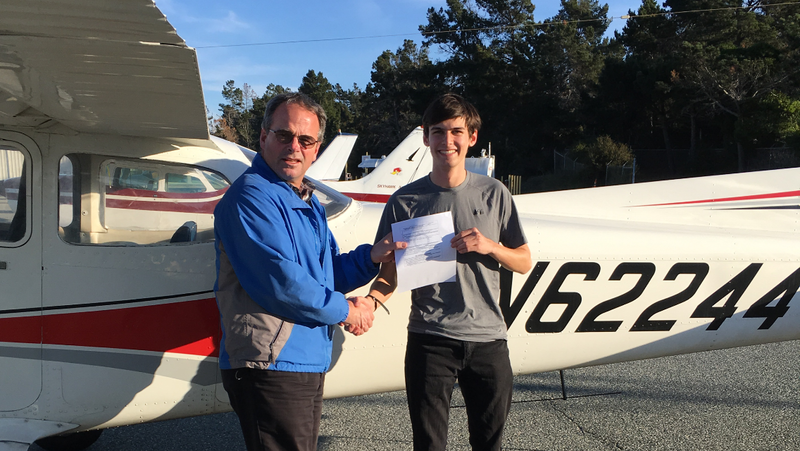 Adam earned his Private Pilot with us in Monterey back in December 2017. 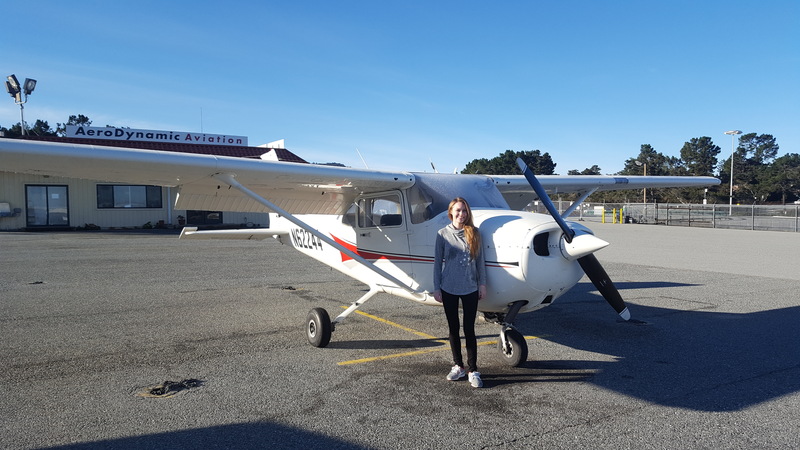 Katrina earned her license at our Reid-Hillview location in June 2018 thanks to a generous scholarship from AOPA (she won their High School scholarship in 2016 for $5000) and another scholarship from the 99s in 2018. 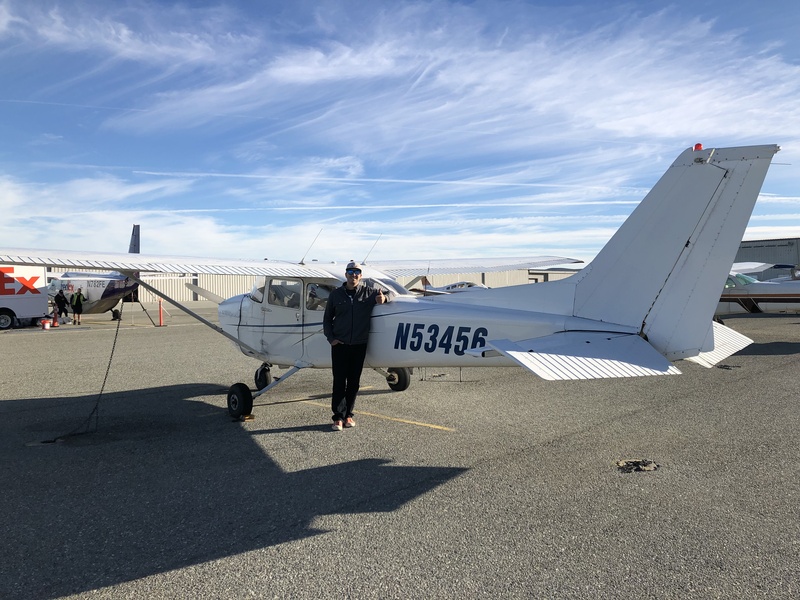 Sophia is a current student pilot working hard to get to solo. We are so proud of you all! 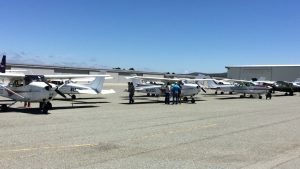 This next generation of pilots work hard for their successes and prove you are never too young or too old to go after your dreams. 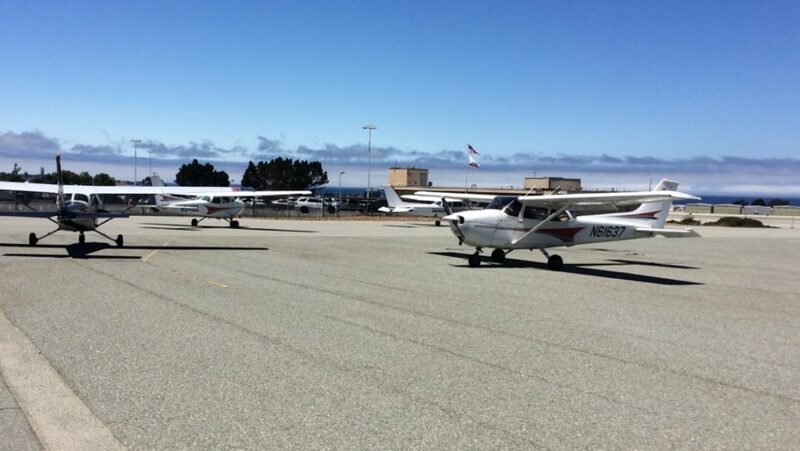 We wish you all the best in your aviation careers! 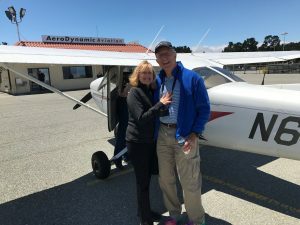 What were you doing on your 17th birthday? 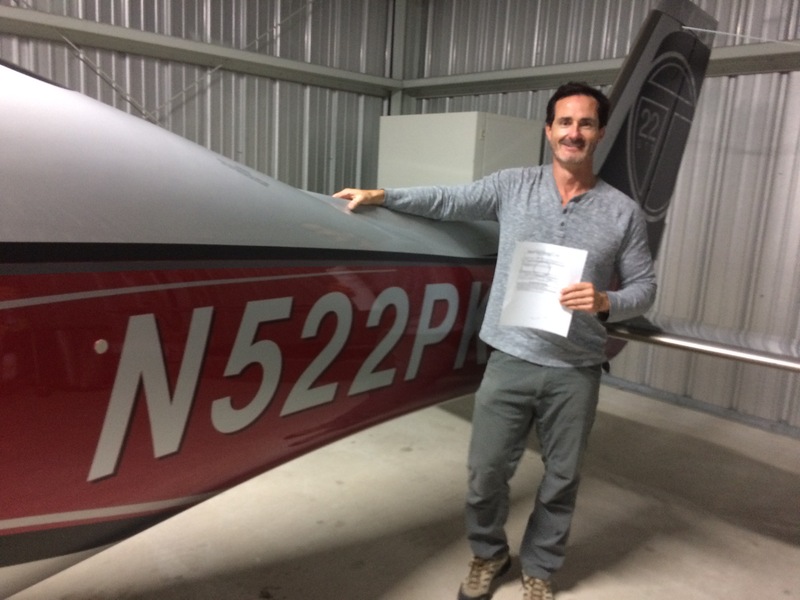 Very few people could answer that they were taking the checkride for their Private Pilot License, let alone doing so well they impressed the FAA examiner. But that is exactly what 17-year-old Adam did last Friday. 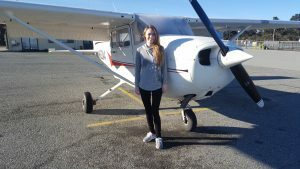 What an incredible achievement for one so young. 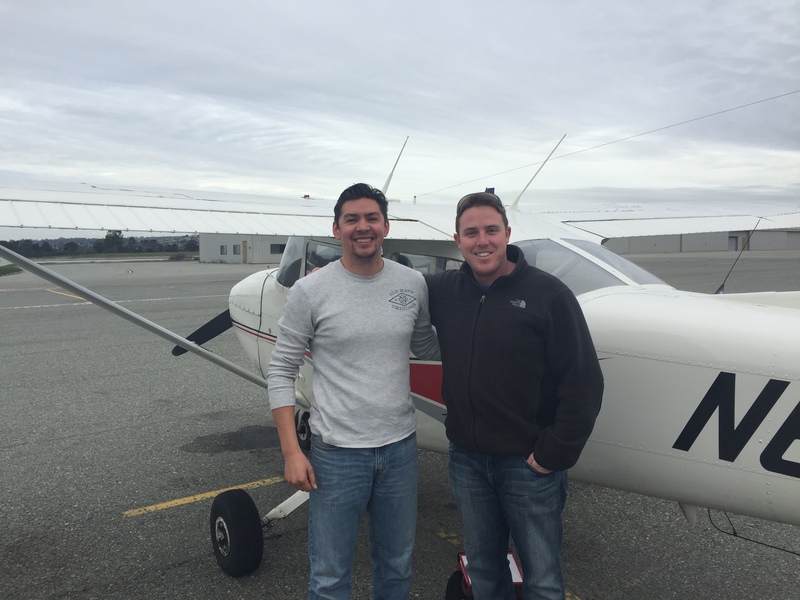 We are happy to have been able to give you your first set of wings, Adam, and wish you so much luck in life. 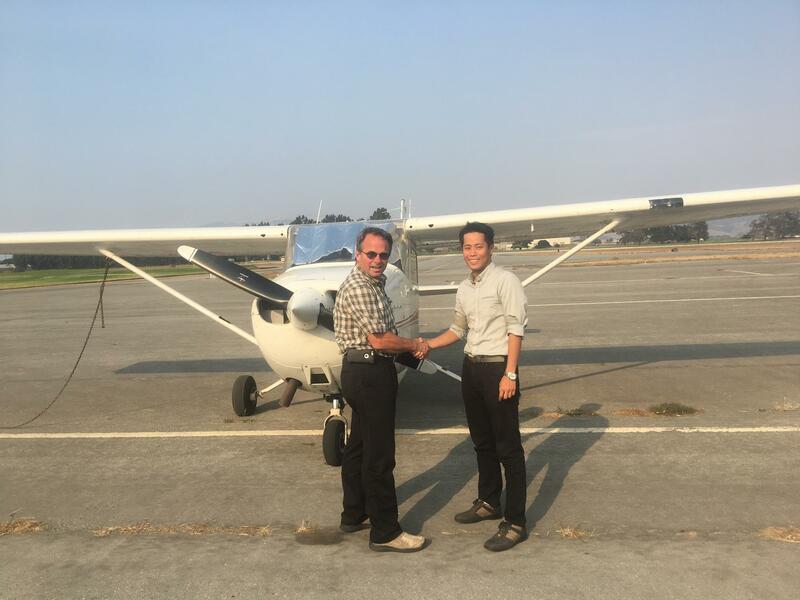 Helicopter pilot, Joonwoo, came to our Monterey flight school to earn his fixed-wing airplane Private Pilot License (PPL). 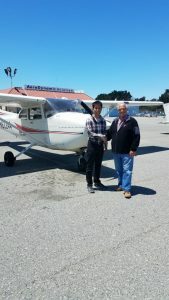 He’s making short work of the transition, as he just completed his first solo in Monterey and second solo in Salinas. 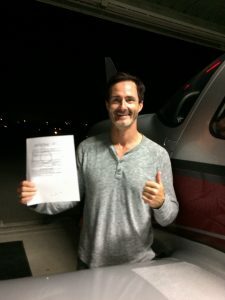 Checkride is coming fast and he is rising to the challenge. Joonwoo will soon head back to South Korea for more flying. We love seeing your progress! 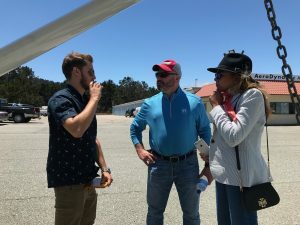 Like anyone, we love our social media! 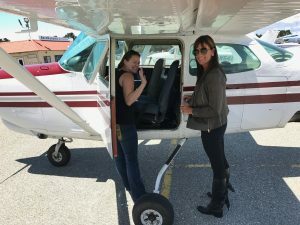 Did you know you can post your ForeFlight routes on Facebook and then tag us @aerodynamic or @flyaerodynamic? If you have cool videos you’d like us to post to YouTube, we can do that as well. 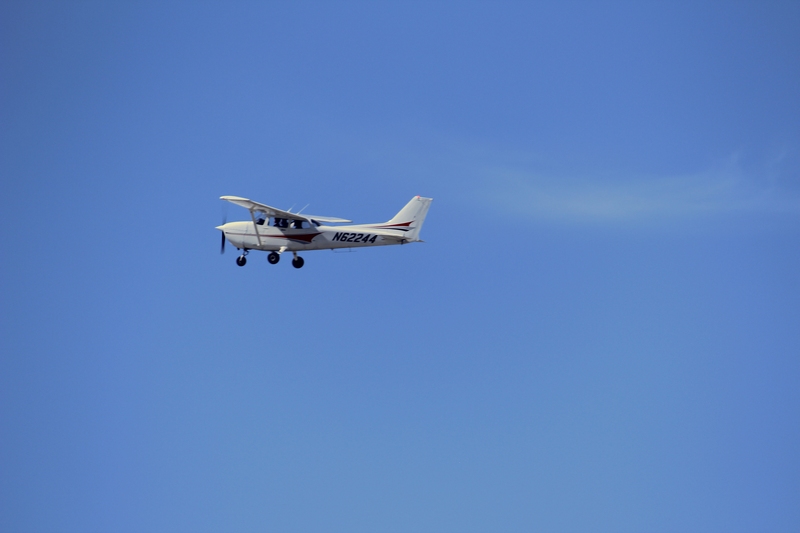 We’ve recently moved our Twitter account from @goodflying. 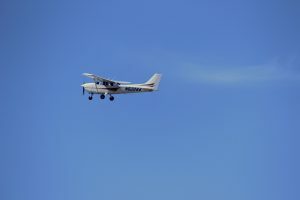 For those of you who follow us or want to follow us, we are now at @flyaerodynamic. We also have a **new** newsletter coming out once a month with upcoming events, seminars, articles, scholarships, local news, and more. 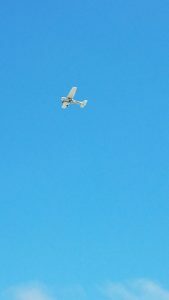 Watch for the first issue to hit your inbox on March 1st! Congrats to Josh on his first solo flight! 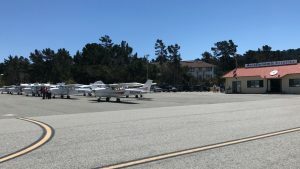 Instructor Jamie watched from below as Josh flew full-stop takeoffs and landings at Monterey’s class C airport.